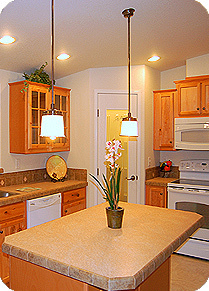 The kitchen is the center of your facility where you prepare gourmet meals or entertain. Today’s kitchen meets many needs, adjusting and growing with your changing lifestyle. One Way can customize a large-scale kitchen renovation, expansion or facelift to suit your particular vision. We’ll help you design a spacious new layout, create more functionality in your existing space, and choose eye-catching tile and hardware to create a fresh new look. We have experience in a variety of kitchens from residential homes, to large restaurants, to commercial kitchens designed to feed hundreds of residents. Giving your kitchen a “facelift” can make a dramatic difference in how your space looks and feels. Replacing old, damaged countertops, adding stone tile, and updating lighting choices are easy ways to give your kitchen a new look without the cost of a full-scale remodel. Reconfiguring and remodeling your kitchen can create space and functionality you never realized you had. Installing finely crafted custom cabinetry will transform your kitchen’s usability and beauty, while changing the layout of appliances, sinks and shelving will make cooking and cleanup infinitely easier. A kitchen expansion adds space to meet your changing needs or growing family. Whether it’s accommodating wheelchairs or mobility aids in your kitchen or adding pantry space and storage, expanding your kitchen provides a wealth of options to transform your cooking and living space. From hand-crafted cabinets to cooking islands and breakfast nooks, the possibilities are practically limitless. 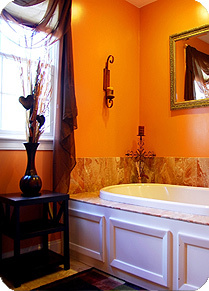 Renovating your bath space can stylishly update your home and create a relaxing spa-like retreat. One Way will help you design a beautiful and luxurious bath area, add new features and fixtures, and turn even a utilitarian powder room into an impressive show feature. Your bathroom will be a highly functional and stunning space that adds to your living area and your home’s value. Stylish features we’ll incorporate into your new bath include above-the-counter sinks, custom cabinetry, stone tiling, hand-painted sinks and contemporary color schemes. We can add space to include jetted spa tubs, dual sinks and showers, and coordinated bathroom furniture to complete your new look. With One Way, the possibilities for crafting your bath sanctuary are limitless.